This Tuesday: Weekly Wisdom is back with a fascinating new topic! Join us this Tuesday for the return of the Weekly Wisdom class! While the Shema (“Hear O Israel…”) is widely recognized as the most important prayer in all of Judaism, it still contains much more than what meets the eye. In this two-part class we will discover the tremendous ideas hidden in this incredible prayer and how they can assist us in our life’s journey. Finally, we will learn how to maximize our personal Shema experience through useful meditations and knowledge of its practical application. The next Weekly Wisom, Part 2 of Unpacking the Shema, will be held on Tuesday, February 10th at 8 pm. Aficionados of kosher and fine dining would be pleased to learn that a new kosher steakhouse has opened in Houston. Genesis Steakhouse and Wine Bar is billed as a more upscale restaurant, offering a gourmet menu, extensive wine selection, and fine dining experience geared not only to the kosher consumer but to the general population as well. For more info see their website: www.genesissteakhouse.com. Genesis Steakhouse is located in Bellaire at: 5427 Bissonnet, Suite 400 Houston, Texas 77081, and is under the kosher supervision of Houston Kashrus Association and Mehadrin Kashrus of Texas. Bring your children this Sunday, January 11th, 2:30 to 4:00 pm to Jewish Kids in Action! This JKA event will feature a fun and tasty Brochot Carnival! Wish your kids could gain some more Jewish knowledge? Chabad of the Bay Area is pleased to announce the launch of a new program called, Jewish Kids Learn! A partner program to the existing Jewish Kids in Action, Jewish Kids Learn provides an opportunity for children to increase their Jewish knowledge in a fun and comfortable atmosphere. The program will be held Sundays, 10 am to 12 pm. To try it out or to find out more, please contact Malky at 713-398-7124 or via email at malky@jbayarea.org. 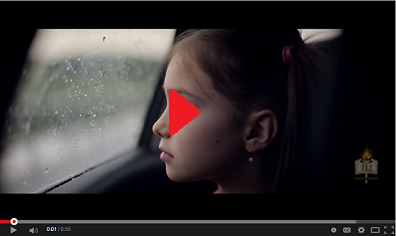 Watch preview of new JLI course! 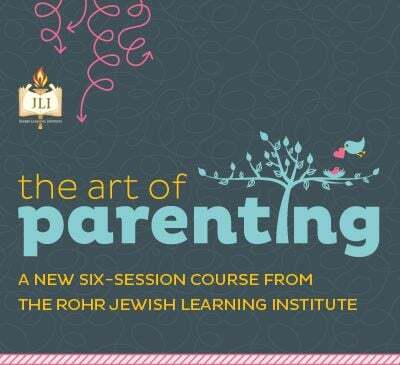 Enjoy this short video clip about the upcoming new JLI (Jewish Learning Institute course, The Art of Parenting. As parents, we worry about the well-being of our kids; about their future, and about our role in shaping it. How do we keep them safe, while encouraging their independence? When should we motivate them by incentive, and when by establishing firm consequences? And how do we build their self-esteem to prepare them mentally and emotionally for the long road ahead? In The Art of Parenting, we scale the challenges that face us as parents and explore timeless insights from Jewish wisdom to instill values, foster independence, and ensure the long-term success and emotional well-being of our children. Accreditation: Earn up to 15 CE credits from: the American Psychological Association (APA), The American Council for Continuing Medical Education (ACCME), The California Board of Behavioral Sciences (CBBS). And up to 9 CE credits from: The National Board for Certified Counselors (NBCC).